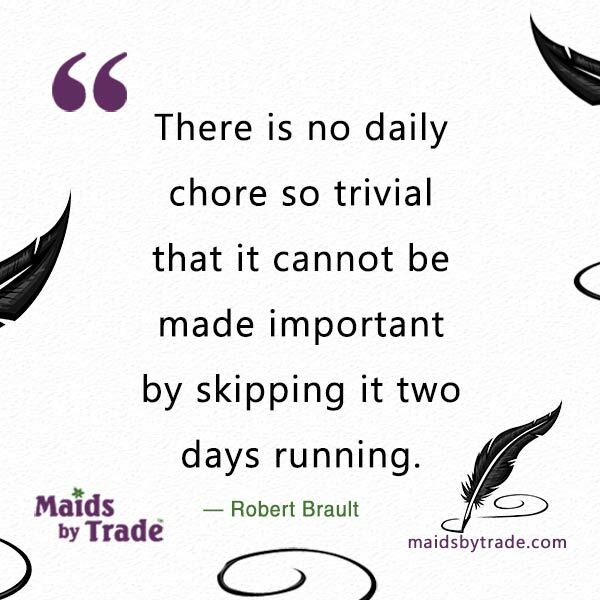 “There is no daily chore so trivial that it cannot be made important by skipping it two days running. Sometimes there is a really good reason not to scrub the floors, dust your cabinets, or wash a load of laundry. Maybe you don’t feel well, maybe your best friend called to whisk you away for dinner, or maybe you’d rather just veg out on couch today. Whatever the reason, don’t let a little old housecleaning keep you from living your life to the fullest. It can always wait until tomorrow. Trust me, those dishes will still be there when you get off the couch! Procrastination will be the death of me. I love this quote and always tell it to my kids when they decide they want to put off their chores. Though, I can’t entirely blame them.